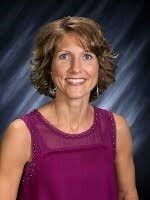 Paula Suda, Superintendent of Schools for Hillsboro Public School District, has been named the North Dakota Superintendent of the Year by the North Dakota Association of School Administrators (NDASA), as part of the First Student, VALIC and AASA —American Association of School Administrators (AASA) Superintendent of the Year Program. As the North Dakota Superintendent of the Year, Suda will be placed in competition with other States’ winners for the award of National Superintendent of the Year. In addition, she will be honored along with other finalists at the National Conference on Education in Los Angeles, CA, February 13-15th 2019, locally in Hillsboro on December 7th, 2018, and at the ND Superintendent Convention on January 29th, 2019. Paula Suda is currently serving her eleventh year as the superintendent of the Hillsboro School District. Paula was born, raised and educated in Grafton, ND. She received her bachelors and master's degrees in education from the University of North Dakota. Paula taught elementary education in St. Thomas and Thompson, ND. Paula was an elementary principal and superintendent at Northwood School District prior to becoming the elementary principal and superintendent in Hillsboro. Paula has received the Northeast Region Superintendent of the Year Award in 2013-14 and in 2018-19. Paula is an active member of Hillsboro Kiwanis, Hillsboro Food Pantry, President of the Hillsboro Economic Development Corp., HCV Booster Club, and the Hillsboro Running Club. Paula lives in Hillsboro and has two grown sons and is married to Ross Keller. Paula is the first female in North Dakota to receive this prestigious award. WAY TO GO MS. SUDA!